Most orders completed by 1p CT (M-F) ship same-day! Great Products — Fast Delivery. We are proud to offer an extensive selection of the latest brand name products. Our 80,000 sq. ft. warehouse is packed full of inventory, ready to ship to you. For nearly 40 years, Full Compass' success has been built on offering great prices and product selection backed by superior customer service. In addition to offering over 700 top equipment brands, Full Compass is an authorized service center and parts distributor for most of the major manufacturers we carry. Full Compass Systems grew out of a professional sound studio that began operation in 1971 in Madison, Wisconsin. The founder, Jonathan Lipp, provided commercial recording services to both local and regional clients. In 1977, he founded and incorporated Full Compass Systems, Ltd. to provide sound equipment for a wider professional market; he currently serves as Chief Executive Officer. In 1979, his wife Susan joined the company as President and now serves as the Chairman of the Board. Her background in marketing and personnel management, as well as her familiarity with theatrical production, complemented Jonathan's technical expertise. The company grew rapidly over the following years, developing a strong nationwide mail-order business. 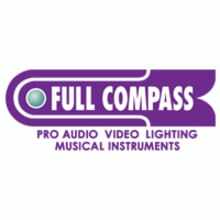 Today, Full Compass is a national leader in professional audio, professional video, A/V, lighting and musical instrument sales. The company offers over 700 top equipment brands and also provides services such as computer systems integration and lighting design. Additionally, Full Compass has a fully equipped Service department that is an authorized repair center for most of the major brands they sell. An integrated Parts department completes the Service department, giving Full Compass the ability to fix both in-warranty and out-of-warranty products, including vintage equipment. Full Compass is a family-owned business with over 180 employees. Highly-trained sales professionals make up about one third of the workforce. The company's annual sales exceeded $100 million dollars in 2010 and it continues to grow. Full Compass has been recognized as the third largest woman-owned business in the state. The company's first retail store was located in Madison, Wisconsin. After 16 years, Full Compass relocated to larger facility in Middleton, Wisconsin, where they remained for 14 years. In 2008, they embarked on their largest expansion effort to date - designing and building their own 140,000-sq. ft. facility. The new building was completed in 2009 and includes an 80,000-sq. ft. warehouse, doubling capacity and allowing Full Compass to stock a wider variety of products. The facility also features two fully equipped production studios, a technology museum that is open to the public, and a cafeteria called the "Backstage Bistro" employing a full time chef plus kitchen staff to serve subsidized lunches for employees and visitors. Giving back to the community has always been a Lipp family tradition, so active involvement in many civic organizations and generous philanthropic contributions are integral to their approach to business. 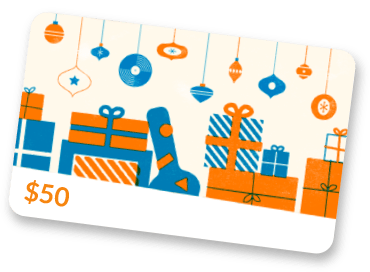 Through the Charitable Contributions Committee, the employees of Full Compass raise well over $30,000 per year in cash and in-kind donations for various local and national charities. Some of the organizations include Susan G. Komen, Dane County Humane Society, Second Harvest Food Bank and Toys for Tots. Money is raised through a variety of activities including cookouts, an annual golf outing, bake sales, and employee contests. Over the decades, many changes have occurred in the technologies, products and markets that are the core to Full Compass' business. One thing has never changed. Dedication to offering a wide selection of top quality merchandise, attractive prices, expert buying advice and service have remained a constant key to their success.